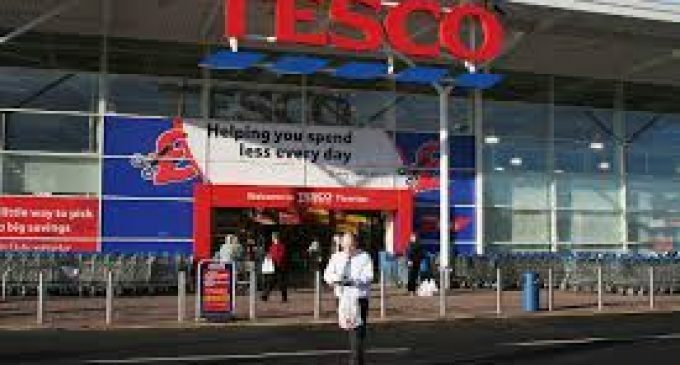 Tesco has seen sales at its Irish supermarkets grow for the first time in more than two years although the increase is modest at best despite back to school shoppers pouring through its doors. The latest supermarket share figures from Kantar Worldpanel covering the 12 weeks to the middle of September show a year-on-year growth in sales of 1.8 per cent across the Irish grocery market which has now grown consecutively for eighteen months, the longest period of sustained growth since October 2013. The latest figures show Tesco – which remains Ireland’s biggest supermarket – returning to growth for the first time since March 2013. It increased its sales by 0.3 per cent although beacause the total market grew by 1.8 per cent its share actually fell from 25.2 per cent to 24.8 per cent. “A modest increase in shopper numbers overall has certainly played a part in Tesco’s recovery, and its customers are also buying more products per shop in the latest period, helping to boost the retailer’s performance,” said Georgieann Harrington, insight director at Kantar Worldpanel. Lidl posted the strongest sales over the last three months growing well ahead of the market with an increase of 9.5 per cent. It was closely followed by Dunnes Stores which grew sales by 5.2 per cent. “Getting shoppers through the doors continues to be the biggest driver of growth for Lidl, with 40,000 new customers visiting the retailer this year,” Ms Harringotn said. She pointed out that customers were also spending an average of 5 per cent more per visit to the German discounter. The strong performance from Dunnes Stores continues with shoppers there now spending almost €50 more than they did last year, thanks largely to its ‘Shop & Save’ campaign. The retailer continues to gain share in shopping trips worth over €100 and has benefitted from customers buying more items, with volume sales increasing by 5 per cent. Aldi’s growth of 3.6 per cent is ahead of the market, with the retailer improving its share by 0.2 percentage points to 8.7 per cent. Like Dunnes, Aldi has seen the number of customers entering its stores fall this period, but nevertheless continues to grow its sales. SuperValu’s growth continues at a slower pace, but the retailer maintains second position, capturing 24.3 per cent of market share. The number of visits to its stores increased by 5 per cemt this period, with shoppers spending €16 more on average than they did last year.